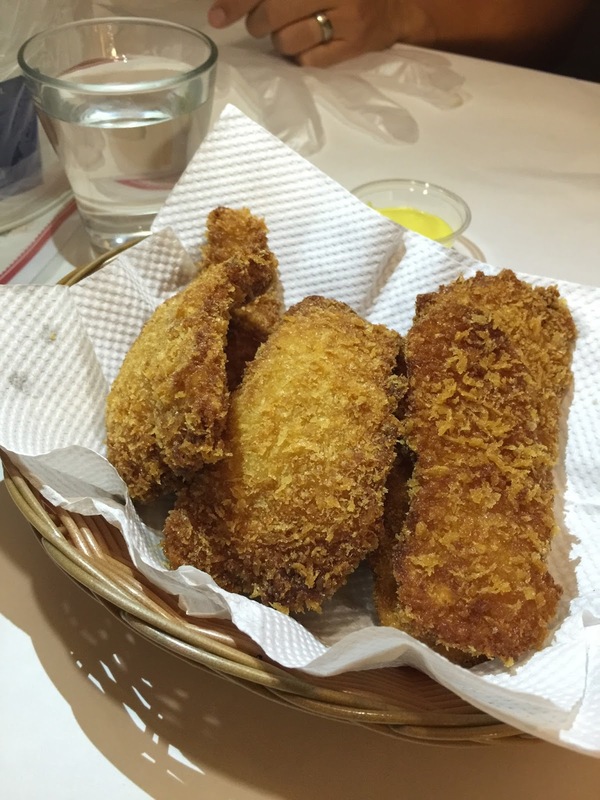 Kid friendliness: for seafood loving kids, you can order non spicy versions or fried appetizers available. 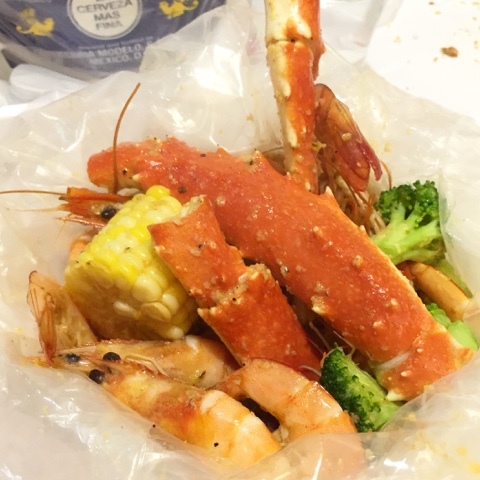 Anyone who's eaten at Boiling Crab has likely joined the cult of digging into bags of cajun spiced boiled seafood, getting your hands dirty and leaving the carcasses of shrimps, clams and crabs all over the table. 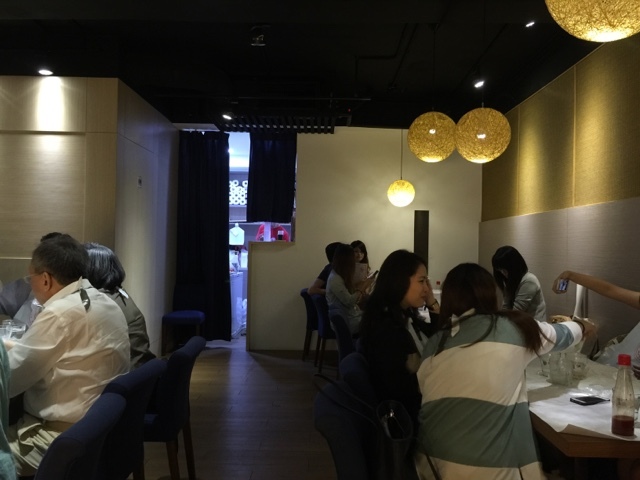 While I was a little late to the game, my cravings for the Whole Shebang buttery seafood has led to me to look for Boiling Crab inspired restaurants knockoffs in Taipei. 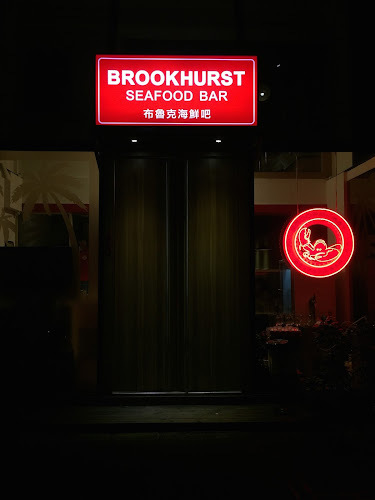 Currently in Taipei, there are three that I know of Brookhurst Seafood Bar (the newest and only open at night), Shrimp Daddy (they have Taco Thursdays) and Chili Crab (the one on Minsheng E. Road.) 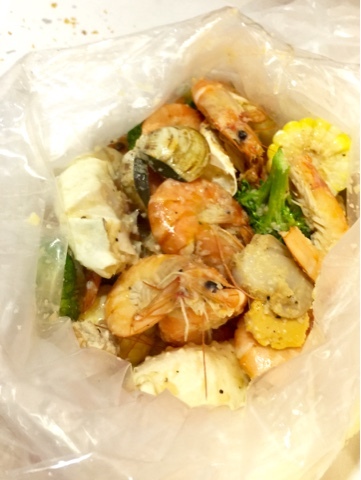 RIP those who were too early to bring Cajun seafood boil to Taipei- Firebite, Spicy Alley and the Boiling Seafood. 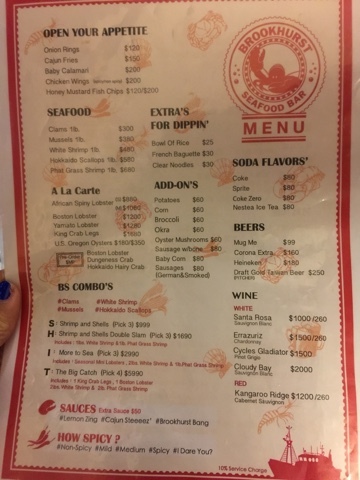 The menu has a few appetizers like onion rings, cajun fries, baby calamari, chicken wings and honey mustard fish and chips, but the focus is on the seafood. 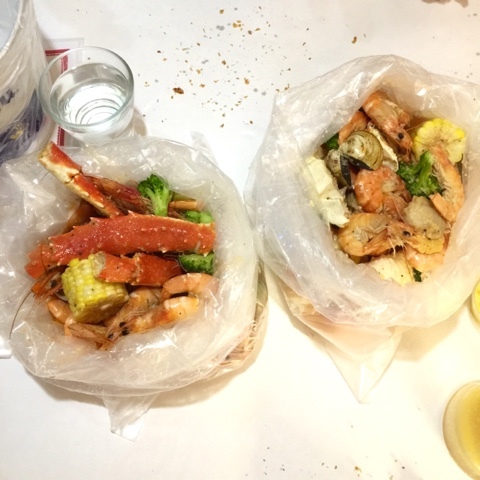 You can choose from clams, mussels, white shrimp, hokkaido scallops, grass shrimp, lobster or king crab legs to boil in one of three sauces- Lemon Zing, Cajun Steeeez or Brookhurst Bang. 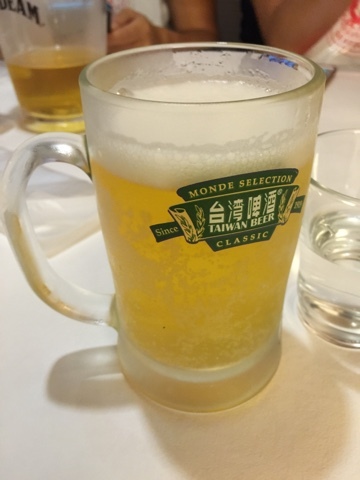 There are four levels of spiciness to choose from- non spicy to the hottest level "I Dare You." Add ons include potatoes, corn, broccoli, okra, oyster mushrooms, sausages, baby corn, or sides of rice, baguette or noodles as your starches. 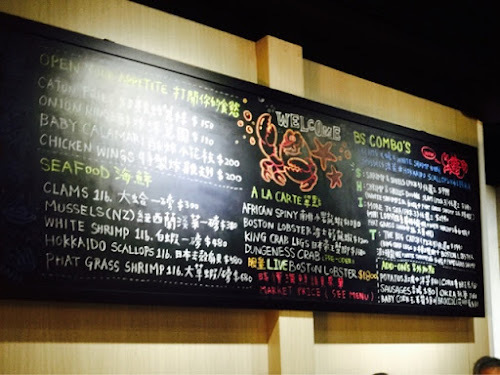 There is also Boston Lobster, Dungeness Crab or Hokkaido Hairy Crab available, but only if you order it in advance. Since most of the items are by weight, then shrimp is the best deal since its shells are comparable lighter than crab or lobster. 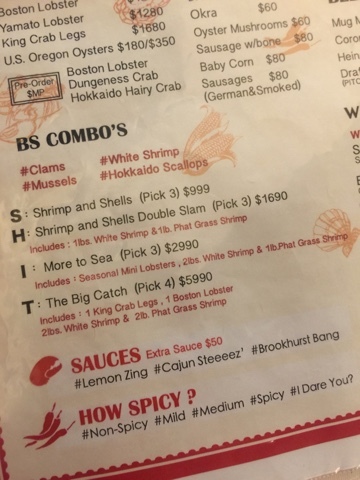 If you want to get a combination of seafood, then you can do a BS Combo as our waiter suggested as well, which is a mix and match ranging from NT$999-NT$5990. Bibs available for everyone to freely get messy. Excuse the blurry photos- I think I was too hungry to focus and anyone who's ever eaten seafood knows how messy it gets, so after a few obligatory photos, I dug in and my hands were too buttery to take more pics. 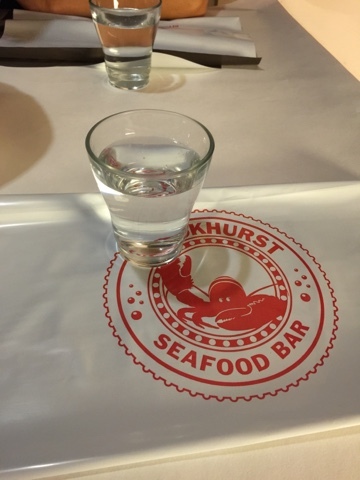 #grubandchug The seafood was fresh, flavors were there and though I was missing the fresh limes and salt and pepper that I'd grown to love at Boiling Crab, I would go back to Brookhurst Seafood Bar again. I might even have to order a dungeness crab in advance. I couldn't tell the difference between the two sauces at first, but once we hit the bottom of the bag, one sauce was spicier than the other. 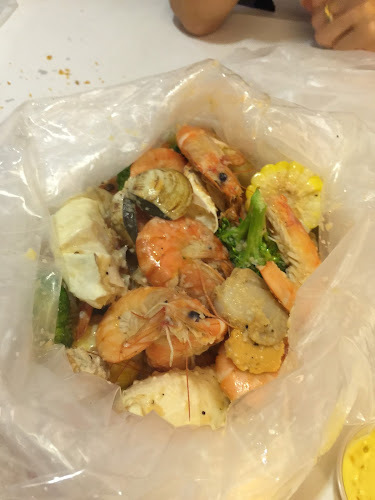 We would have also ordered some raw oysters, but our waiter told us they were also cooked in the bag. Doh. Their instagram and Facebook seems to disagree. Some of you might wonder if it's related to Brookhurst Pho, and it's actually in the same spot. It started taking over Brookhurst Pho at night in March and it was so successful, I guess they took over the whole space as you can see from the signage change, so RIP Brookhurst CaliPHOnia. Brookhurst Seafood Bar is currently only open at night and advance reservations strongly recommended.